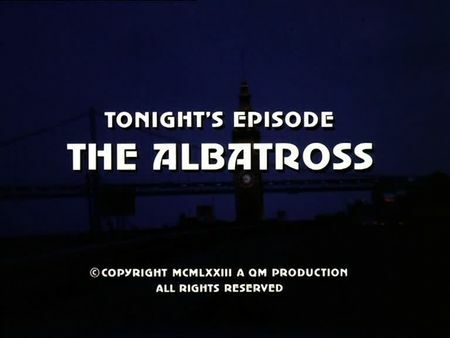 The screencaps for The Albatross are online now. Following a bungled burglary and the unintentional death of the house owner's son, the suspect, Artis Pierce, is caught by police after a miles-long chase up to Twin Peaks. Everything seems to be set for the pretrial at Court, however, the killer is finally set free on a legal technicality - Pierce was not able to register his rights properly as he did not have his hearing aid on when he was Mirandized. Instead of incriminating him for burglarly, and despite Mike's strenuous objections, the grieving father, Robert Hobbes, is determined to take justice into his own hands. Without Hobbes' testimony that he had caught Pierce red-handed in his house, Stone and Keller need to hurry. With help from the boy's grandfather, and police finally locating Pierce's hearing aid inside Robert Hobbes' house, our two cops can prevent another murder at the last minute. The crime scene of this episode, Hobbes' house, is located on Sanchez Street in the Dolores Heights district, close to the Hill Street junction. Following the chase, Artis Pierce is caught by police on Twin Peaks Boulevard. After the suspect is set free, Mike and Steve are talking to Robert Hobbes on a cemetary, probably in Colma, but I cannot tell for sure from the few scenes taken (most of which are close-ups, making it even more difficult). Hobbes finally obtains a gun in a pawnbroker's shop at 52 6th Street, south of Market, preparing his irate move to serve up justice and to kill Pierce in his hotel room in the 'Corona Hotel' at 132 Embarcadero. This hotel was used before, by the way, i.e. for A Collection of Eagles.